The Acer F1 - coming soon? 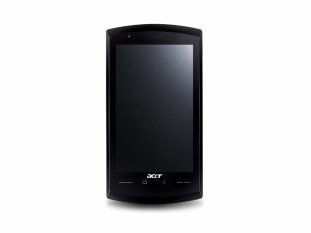 Acer's forthcoming F1 smartphone will be released in the UK in the next couple of weeks, according to the brand. The new handset, which marks Acer's entry into the Windows Mobile 6.5 race, was only given the codename F1 at the launch earlier this year, but it appears minds have been changed and the name will stand. Technology blog Clove, from the online smartphone retailer of the same name, has been confirmed as a merchant of the new phone, which will be around before the launch of Windows Mobile 6.5 on 6 October. But the main talking point is the price - TechRadar was told the price would likely be around £450, but Clove is stating the phone will only cost £295 + VAT. That's particularly impressive when you consider it will have a 5MP camera with LED flash and a 1GHz processor on board as well, making it among the most powerful Windows Mobile devices available on launch.